Delcot Engineering Pvt. Ltd. has carved a niche amongst the topmost names in this business which was established in the year 1998 as a Private Limited Company and is located in Chennai, Tamil Nadu (India). We are providing our customers a range of excellent quality generators and spare parts. We have earned immense recognition as a trading, exporting and retailing of Automatic Voltage Regulator, Electric Generator, MCCB Panel Board, Car Radiator, Diesel Engine Spare Part and many more. Furthermore, we also service provider of Generator AMC Service and many more. Our offered products are appreciated by the customers for their superior performance and trouble free operation. We export 55% of our products to Nepal, Sri Lanka, Russia, Cambodia and West Africa. 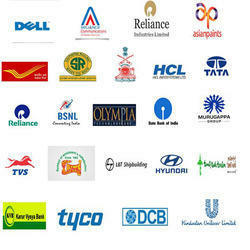 We are basically a private limited company which was established at Chennai in Tamil Nadu, India. We are the prestigious manufacturer, supplier and exporter of Generators set. The products are superior in quality which makes them best amongst the competitor's products. Our products are durable, economic in range, energy saver and environment friendly and have so many qualities. We are client oriented company and our main motive is to satisfy the clients with our products and services. These products are provided by us in vast variety which gives many options to the clients. Our products are reliable and user friendly which increase the demand of them. A motivated team work and skilled Technicians has earned an enviable reputation. Our policy is interactive exchange of use, opinion and suggestions with clients has contributed towards customer satisfaction. When power cut / failure or low voltage happened the Generator usage become so high. When the utilization is more it requires maintenance and man power; so we provide innovating Rental solutions for your power needs and efficient dependable performance with eco friendly operation. We have a strong and energetic team of qualified professionals work under the guidance of Mr. J. C. Hemanth Kumaresan who is the reputed manager of our company. Thus we meet out the client needs easily and effectively. We appreciate the opportunity to showcase our equipment, talents, and services and look forward to the opportunity to serve you. Our company is the client centric organization so the primary motive of us is client satisfaction with our products and services. We offer them high quality products with proper functioning and so many features which match with the specifications of products given by the clients. We also take their valuable feedback and suggestions regularly and then work according to them to improve the business and give complete satisfaction to the customers. We have advanced infrastructure which is equipped by the advanced machinery, tools and equipment. There is ware house facility also which help us in storing the products with safety for a long time. The infrastructure of our company is efficient to manufacture, supply and export the superior quality products easily within a time period. Our company works according to the valuable business ethics and principles to run the business systematically. has been consistently achieving the target goals and objectives under the guidance of Mr. J. C. Hemanth Kumaresan who is the reputed director of our company. He is highly experienced in his field and also very talented. He works with full devotion and motivation to complete the given task. He encourages and motivates the other to work hard and in impressive way. Our organization is widely acknowledged for rendering the Generator Set Sales & Repairing Service. The offered services are provided by our team members who are too qualified and experienced to render these as per the clients' requirements and industry laid parameters. Furthermore, we use genuine spare part or component for repairing generators.